Beautiful location and colourful culture are the best aspects to identify Moirang. Being a part of one of the most beautiful states in the country, Moirang also enjoys blessings of the mother nature. It does not have much attractions to explore. Every nook and corner of this region is loaded with appealing charm and beauty. You will never run short of the scenic locations and breathtaking views during your visit to Moirang. This lake enjoys popularity due to its vast expanse and unfading charm. Being the biggest fresh water lake in the north east region of the Indian territory, this lake draws attention of nature lovers. 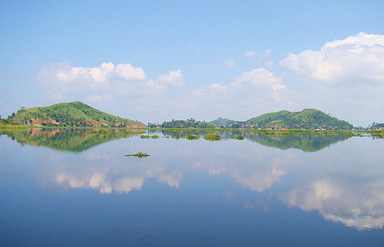 Also famed as the only floating lake in the world, Loktak has the floating phumdis. Moirang is loaded with the amazing attractions that enjoy popularity across the globe due to their distinct features. Keibul Lamjao National Park is home to many endangered species. 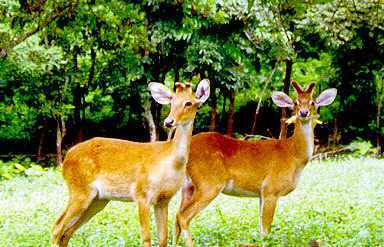 Sangai, also recognized as the 'Dancing Deer' is the highlight of the park. Initially declared as a sanctuary, the park got the title of 'National Park' in 1977. Dedicated to Lord Thangjing, pre-Hindu deity, this is an ancient temple. Associated with many legends and stories, the temple enjoys popularity across the globe. Tourists from different regions visit the temple to witness the cultural way of offering the prayers. Ngangkhaleikai is the famous village of Moirang. It is amongst the most important places of the region. 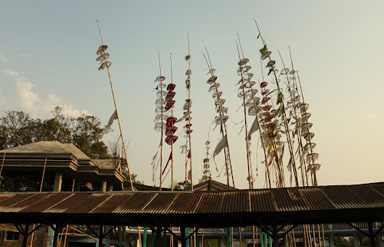 It is the place where the clothes of Khamba and Nongban are still preserved. For cultural experience, Khamba-Thoibi dance is popular and is worth witnessing. Moirang is the native place of this graceful dance form. There is also a museum, which displays the photographs and wartime relics. Not many accommodation options are available in Moirang. It is advised to look for a stay in the nearby regions. By Air: Imphal is the nearest airport. It is around 34 km from the destination. It connects the region with rest of the country. By Rail: Guwahati station is well-linked with all the major cities of the country. Regular train service keeps the destination connected with rest of the nation. By Road: A wide road network is connecting the destination with all the nearby cities.